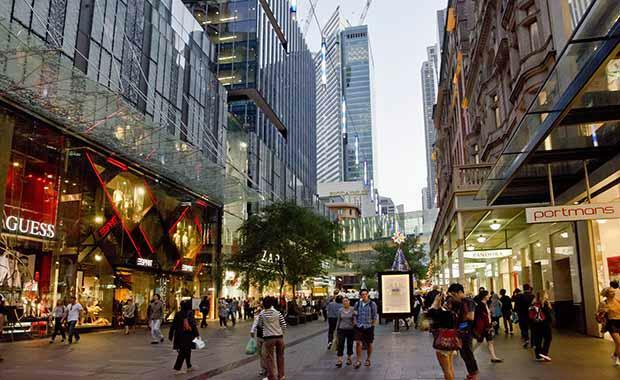 Australian retail rents are beginning to rise across the board after a prolonged lag to retail trade. CBD markets are leading the charge, with CBRE’s Q4 Australia Retail MarketView highlighting 3.7 per cent growth in national rents in 2014, underpinned by a significant 10.7 per cent rental hike in NSW. Rental growth is also emerging in the regional, sub regional, neighbourhood and large format sectors according to CBRE’s Head of Research, Australia, Stephen McNabb, with regional face rents tipped to grow by 2.6 per cent this year, followed by 2.8 per cent growth in 2016. “Retailer profit margins have fallen in the past two quarters due to rising competition and the weakening AUD but are still relatively high after a period of consolidation and cost cutting. A key driver of CBD rental growth has been the continued entrance of foreign retailers, which has led to increased demand for prime CBD space. and Uniqlo, both in Sydney’s Pitt Street, and Swedish mid-range fashion retailer COS opening its doors in Elizabeth Street Melbourne. said, “Foreign retailers remain the headline story in high street retailing as their store rollouts continue to gain momentum. “As a result of this, many domestic retailers are being priced out of prime locations. We expect domestic retailers to either be willing to pay higher rents or relocate to secondary locations. “Domestic retailers are also repositioning and reinventing themselves to target niches between the mass and high-end luxury markets such as the fast growing ‘affordable luxury’ segment,” Mr Palmer said.